It’s been awhile since we’ve discussed the state of affairs at Cartoon Network. I think the last time was when they tried to institute live-action programming because the same guy who disabled American Movie Classics continued his war on specialty channels. Now Cartoon Network faces a whole different problem and one I haven’t seen addressed by cartoon commentary shows on YouTube. From my fellow Reviewers Unknown contributors I got interested in The Mysterious Mr. Enter and I stumbled upon Saberspark on my own, but I’ve seen others, including RUer The Cartoon Hero, who is more of a reviewer and hasn’t really covered Cartoon Network’s decline. However, everyone seems to agree that what’s killing CN is Teen Titans Go, or at least the overplaying of the show. At least in the US; the UK schedule has a better balance of shows from what I’ve heard. Frankly that’s my only real problem with it since I can otherwise ignore it and outside of not following up from the beloved Teen Titans cartoon (not the first because Filmation had a Teen Titans segment on The Superman/Aquaman Hour Of Adventure) while still using assets from the show in a different art style and taking pop shots at critics I really don’t care. I liked the Teen Titans cartoon as well but I’m still disappointed they weren’t in the DCAU as was teased in an episode of Static Shock. But that’s all I’ll say on the matter because that’s not what I’m here to talk about. When these commentators discuss the lack of variety of Cartoon Network and their treatment of recent shows like the finale of Regular Show or the debut of OK KO: Let’s Be Heroes they usually bring up the Cartoon Cartoons lineup or some of the other comedic shows like Uncle Grandpa or Steven Universe that air in the few spaces not owned by TTG. However, two shows in particular are never mentioned and for different reasons the ignoring of both shows speaks to one problem about CN’s lineup that they’ve botched completely: any action shows not airing on Toonami, which is now just for dubbed anime edited for television, are given the shaft. Why is CN’s action drought not being brought up? The two shows in question have been brought up on this site before: Justice League Action, which I mentioned in a recent Art Soundoff, and Transformers: Robots In Disguise. This represents the entirety of action shows on the US Cartoon Network. What I mean by “action show” is shows where the comedy is present but not the focus. Instead its heroes versus villains, although on some shows the threats is less villains and more natural disasters and stuff, like in Rescue Heroes, where the focus is on rescuing over crimefighting. Meanwhile, although the previous Ben 10 shows count, the current one is going for the same tone as Teen Titans Go and the rebooted Powerpuff Girls, so neither of them count. So how is Cartoon Network failing these two lone action shows they have? Well, both JLA and T:RID are different tragedies. Justice League Action is the only DC show currently on Cartoon Network. That’s a huge downgrade from when they had their own programming block, featuring a version of Batman, Young Justice, and the previous Teen Titans among other shows. It’s a more lighthearted version of Super Friends or Justice League Unlimited, light on character development and heavy on action and personalities. If it wasn’t for DC Super Hero Girls on YouTube (which is finally getting a full series instead of just short and the occasional direct-to-video movie) and the occasional home video that would be all from DC and Warner Animation. We’d just have the various live-action shows and movies. It’s fun and it’s got superhero stories kids and the kid at heart can enjoy. So when does Cartoon Network air it? 6:30 in the morning, and that’s Eastern. I think that’s usually 5:30 AM Central but I don’t know if Mountain and Pacific Time has a different feed that puts them sometime before anybody gets up. Most kids probably aren’t getting up that early, and how many kids know the show is on to record it? I’ve never seen an advertisement for it beyond a “coming up next” bumper. Transformers: Robots In Disguise is in a worse position, and that show just ended. The last time Cartoon Network aired Transformers cartoons it was Transformers Animated after the subpar “Unicron Trilogy” cartoons that aired during a Saturday night action block. 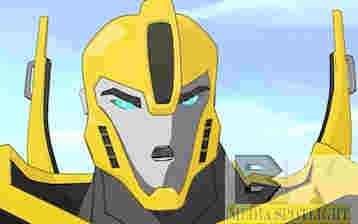 Then Hasbro teamed with Discovery Networks to turn Discovery Kids into The Hub, where it aired Transformers Prime and Transformers: Rescue Bots as well as the original cartoon. Then for whatever reason Hasbro and Discovery parted ways, The Hub was re-branded as Discovery Family, and although Rescue Bots continued to air new episodes on there Cartoon Network picked up Robots In Disguise, aired it at 6 AM Eastern, and proceeded to slowly ignore it. The final season, the “Combiner Force” story arc, just completed and a new series announced in 2018. Meanwhile Discovery Family still airs Transformers Prime and the Beast Hunters season, as well as Rescue Bots, and will presumably take on Rescue Bots Academy in 2019, and airs other Hasbro shows like the classic G.I. Joe and the current My Little Pony: Friendship Is Magic. You have to wonder if Hasbro Studios is regretting changing networks for their flagship kids Transformers line? And yet other stations still have good animated action shows. Disney XD, who took over Pokemon from Cartoon Network after it left syndication and Kids WB, treats Marvel (which Disney owns) better than Cartoon Network treats DC (both owned by Time Warner). As mentioned, Discovery Family is still doing well by Hasbro. Nickelodeon tries to break out the occasional action show. 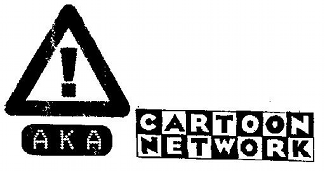 And all three networks have their own series and some anime, which only airs on Cartoon Network because Williams Street brought back Toonami, which used to be CN’s action block. And that’s only one night a week and features shows for adults (since it’s technically part of the Adult Swim lineup now) who were nostalgic for Toonami and forgets it used to show non-anime action shows as well. In fact that’s how it started, and then had a balance of American and Japanese animation, and now is just anime and no longer kid-friendly. The only American-produced action show for the new Toonami outside of the host segments is former Cartoon Cartoons show Samurai Jack, where they finally allowed Genndy Tartakovsky to give the show a proper ending, while CN continues to ruin his other show, the Craig McCraken created Powerpuff Girls. Those are the only action shows getting promoted. Sorry, Jonny, Cartoon Network isn’t going to save you from TV exile. It’s not like Cartoon Network doesn’t have access to action shows already. The original Ben 10 (created by a group called Man Of Action) should have been the model for this new show, but it slowly moved in a more light direction during Ben 10 Omniverse, which was still a superhero action show, and now only boasts more crimefighting than Teen Titans Go. They still have Transformer Animated for reruns since it was a co-production with Hasbro, not to mention both versions of Thundercats as well as Silverhawks I believe, the remake of He-Man & The Masters Of The Universe, The Real Adventures Of Jonny Quest (and the preceding shows and made-for-TV movies), and numerous action series and miniseries from Warner Animation, Hanna-Barbera, and Ruby Spears. Plus you have the previous Ben 10 shows, Generator Rex, the DCAU (home of a lot of people’s favorite versions of DC characters), and a long list of shows. Even Boomerang seems light on action shows, but that’s a whole other problem to go over. And it can’t be folks don’t like action shows or the other networks wouldn’t have them either. Netflix joined in with Voltron: Legendary Defender and Stretch Armstrong and are working on a new season of Young Justice, a show Cartoon Network abandoned for (according to various rumors with their own suggestions as to why) stupid reasons. But the reason I’m bringing all this up is that cartoon commentators like Saberspark and Mr. Enter are ignoring action shows as much as Cartoon Network is. I’ve seen the lighter shows and comedies brought up, but everyone forgets the action shows that were dropped. And yet the lack of action shows speaks further to the lack of diversity on the Cartoon Network scale. Yes, it’s disappointing to see how they’ve treated their other non-Titans shows and that they seem focused on one type of comedy but let’s not forget the poor treatment of the two action shows they actually air, one they swiped from a rival network and buried, as well as the lack of anything else outside of anime for adults. This is just as bad as what they’ve done to other shows, if not worse because at least you still see ads for those shows and they air when kids will actually see them. 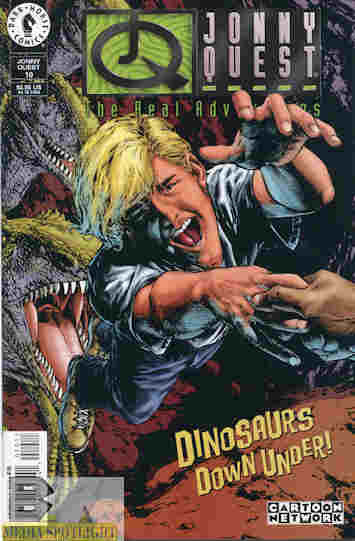 A whole genre is being ignored by the network and the critics, and as someone who grew up on action shows, from superheroes to just ordinary people and in some cases animals having exciting adventures the lack of outrage disappoints me more than the abandonment by the station because at least someone is picking up their slack. But who in cartoon fandom mourns for the action shows? Is it just me? Posted by ShadowWing Tronix on December 7, 2017 in Animation Spotlight, Television Spotlight and tagged action cartoons, Cartoon Network, Discovery Family, Disney XD, Justice League Action, kids tv, Nickelodeon, Transformers: Robots in Disguise. I wish that Cartoon Network would play more Hanna Barbera classic cartoons (ones from the 60s, 70s, and 80s) like the network used to do back in the 90s. Then again, look at MTV. It barely plays music videos anymore. So many of these cable channels have deviated from their original purposes. I’d settle for having it on Boomerang because it’s supposed to be for classic cartoons. The only place they show now is their paid streaming service and like I said they only have on action show. It’s horrible that Cartoon Network doesn’t play many action cartoons. I use Cartoon Network in order to watch old episodes of King of the Hill, American Dad, and Bob’s Burgers. I’d love it if the Cartoon Network showed classic action cartoons such as Galtar and the Golden Lance, Go-Bots, Pirates of Dark Water, Thundarr the Barbarian, Superfriends, and Johnny Quest.